“I started racing right out of high school in the sportsman class at Nashua and Charles City,” recalls Hansen, a 34-year-old Dike native who looks about 10 years younger. 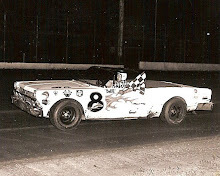 And today, 16 years later, Curt Hansen may be the hottest late model stock car driver in Iowa. 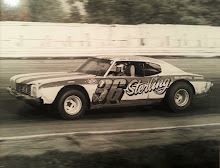 On the weekend of May 25-27, for example, he won three straight feature races, at Hawkeye Downs Speedway in Cedar Rapids, at West Liberty and at Waterloo. Overall, Curt has won eight of the 18 features he’s entered this season. 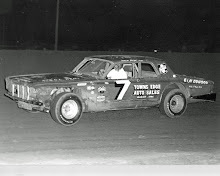 And Hansen will be one of the favorites in Tuesday night’s 7th annual Miller 100 at Hawkeye Downs, as he's the only driver to win the 100-lap classic two times, in 1976 and ‘78. Auto racing has been good to Hansen’s wallet. He won $41,000 racing last year and $51,000 the year before. He has been the Downs’ point champion the past two seasons as well as in 1975. And he’s leading again this season. 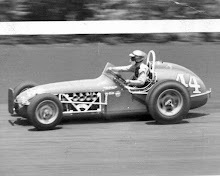 Not that Hansen limits his time to auto racing. The 1962 Dike High School graduate also works for Clay Equipment in Cedar Falls and is one-fourth owner of a small farm equipment manufacturing firm and owns a machine shop. Small wonder he says, “I don’t have much time to waste. Sundays are especially bad because I don’t get home from racing until 2 in the morning and I have to go to work at 6 Monday morning. 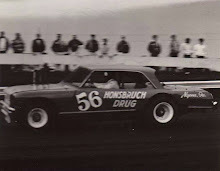 Hansen has entered two cars for the Miller 100, a Chevrolet Camaro and an Oldsmobile Cutlass, both brand new and owned by Vince Fiala of Cedar Rapids. “We’ll try them both out and see which one seems to be working the best,” says Hansen. Late model drivers hit up to 100 miles per hour on the straightaway of the Downs' half-mile dirt track, so safety and fear play a role. Hansen, who along with his wife, Alice, has a son, Bobby, 14, and a daughter, Alicia, 5, doesn’t have any illusions of grandeur. Driving in the Indianapolis 500 isn't one of his goals.